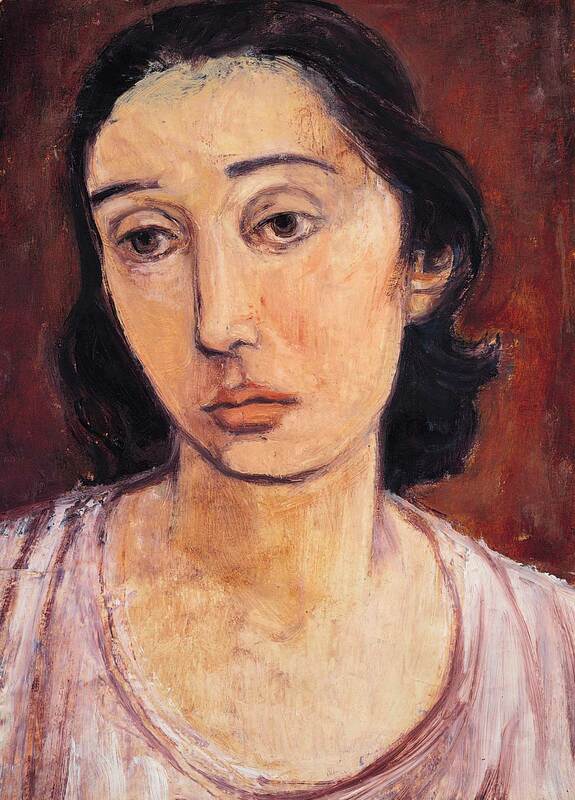 description A head-and-shoulders self portrait in which the artist is seen in full face view with her head tilted slightly to the left; her eyes are downcast and her gaze appears subdued. The predominantly warm pink and peachy colours used for her skin tones and clothing are offset by her dark hair and the bold outlining of the face, set against an umber background. Frankfurther used her self-portraits as experiments rather than to achieve a likeness. 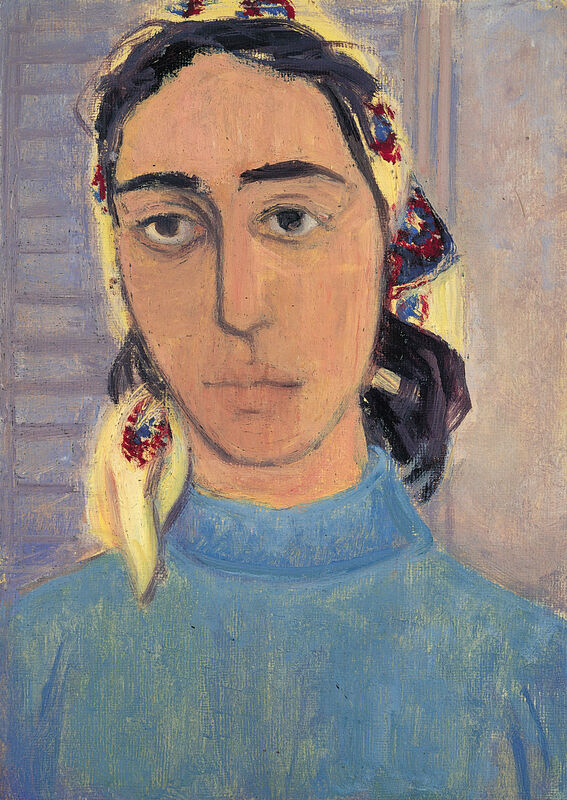 This stylised portrait with the slightly elongated face and heavy eyelids is closest in feel to her final self-portrait painted in 1958.
exhibition history 'Eva Frankfurther 1930-1959: Memorial Exhibition', Boundary Gallery, London, 15 June-18 July 2001, (85), NFS. literature ed., B. Planskoy, 'Eva Frankfurther 1930-1959: Paintings, lithographs and drawings', illus., p. 72.